Donald Trump has threatened to impose a 25% tariff on all steel and a 10% tariff on all aluminium imported to the United States to try and offset the damage done by cheap steel being dumped in America. The president of the United States has the power to impose tariffs if they believe that America has become too reliant on a hostile or a rival power for trade. Instead of curtailing the growth of a hostile power, Donald Trump is punishing American allies for operating within the trade parameters which the United States itself was a part of negotiating. The NATO Association examines the effects that tariffs and a possible trade war would have on America’s allies and what this means for free trade in the world. At the center of Trump’s presidential campaign was the articulated desire to “make America great again.” Remaining consistent with his promise, President Trump has undertaken yet another seemingly miscalculated and emotionally-fueled endeavor aimed at restoring employment in the United States. 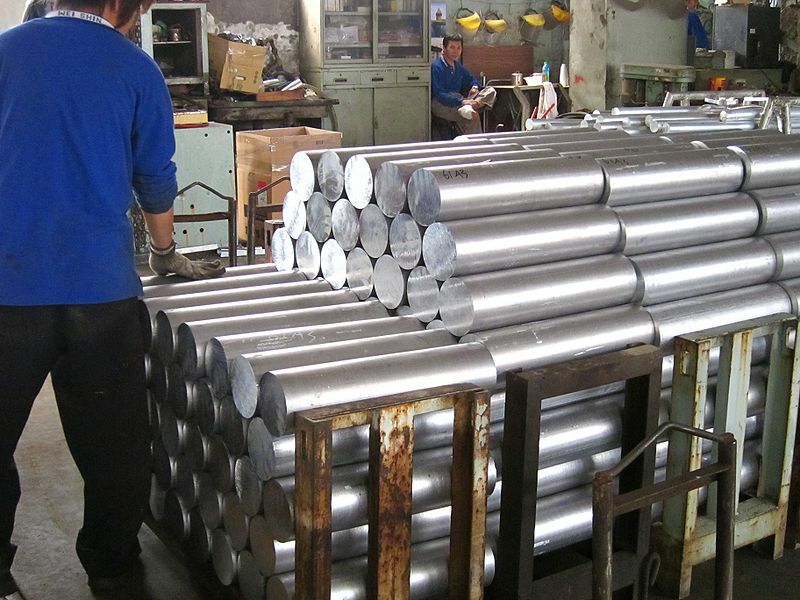 On March 8th, he announced the imposition of tariffs on imported steel and aluminum in hopes of encouraging the consumption and production of local industries. Forcing an increase in import prices would undoubtedly render local goods more competitive, ultimately swaying consumers towards the American steel and aluminum markets. The hope is that, eventually, with sustained protection of American markets, investment will flow back to those growing industries and will simultaneously create jobs and economic opportunities for Americans. While the economic rationale is undeniable, President Trump seems to neglect two potential backlashes which may result from increased protectionism. The first is a sudden deterioration of economic—and thus, political—relations with an array of allies. Although members of NAFTA will not be affected by the tariffs, pivotal US trade partners such as Brazil, South Korea, and the EU will suffer greatly in American markets following the imposition of the tariffs. A second and increasingly ironic backlash, of course, is a potential confusion in what American values encompass. Historically, US administrations have been strong proponents of trade liberalization and privatization, and have in fact often made aid conditional upon the beneficiaries discarding protectionism. Now, it seems, Trump has abandoned this uncannily American ideal of free trade and has instead adopted a variant of protectionism. Although its economic impact will likely be positive for NAFTA states, the social and political impact on American foreign relations has seemingly been left unanalyzed. This ultimately makes us wonder: Is President Trump undertaking this action to live up to his promise, at any cost? Donald Trump is tooting the looming trade war as a good thing for the American economy and people, but this couldn’t be further from the truth. The truth is that if there is a trade war with Europe, American workers and consumers will suffer and the relationship with Europe will be thrown into turmoil. European Commission head Jean-Claude Juncker promised to react firmly to the threat on European jobs with retaliatory trade tariffs on American imports, mostly from Republican States, such as bourbon, blue jeans, and Harley Davidson Motor Cycles. Donald Trump added again to the escalating rhetoric when he promised that if tariffs were put on American products in the EU, he would place further tariffs on German cars sold in America. Donald Trump is squandering the limited credibility that his administration has in Europe and no one is sure why. The number of jobs that the tariffs protect pale in comparison to the jobs threatened. A tariff on steel and aluminium will raise the prices of products made of those materials in the United States but higher prices are not the only threat America faces. While only 140, 000 Americans were employed by steel mills in 2015, 6.5 million Americans worked in jobs that made things using steel. Trump has threatened to impose tariffs on German cars. This will hurt some manufacturers but certainly not the big ones. BMW, Daimler and Volkswagen operate some of their biggest factories in southern, US states. German carmakers employ about 33,000 workers in the US and German automotive suppliers about 77,000 more. This is almost as many people as the steel mills which started the whole dispute! The tariffs, or threat thereof, are part of a bigger game designed to protect the American economy at the expense of the Chinese economy. The fact that all nations are affected, less the NAFTA partners, conveniently discourages most of the world’s producers while avoiding specific mention of China by name. While the tariffs might be excessively broad in scope, the Trump administration has every right to impose tariffs on imports being “dumped” under WTO regulations. Chinese dumping of steel and aluminum has hurt every other producer on the world market, not to mention those underpaid Chinese workers overproducing for the benefit of Party apparatchiks. Everyone wins when the Xi regime is forced out of yet another get-rich-quick scheme. American manufacturing might suffer from temporarily higher overhead costs with the tariff, but it will adjust. The Chinese have more to lose, being the producer of half of the world’s steel. The overhyped fear of trade wars is simply unfounded. No one would dare retaliate against the world’s largest consumer market over a single tariff, especially when it is known that American foreign policy changes every election cycle. Once Chinese producers realize they cannot force international competitors out of the market with fire-sale costs and without consequence, then the status quo will return and talk of protectionism will wear out rather quickly. A trade war between the US and any other political body, such as China, the EU, or South Korea, would have severe consequences for the global economy. Since protectionism was a major sentiment of Trump’s campaign in even before the primaries. Should the world have seen this coming? What do these tariffs signify for the global economy or for the future of international governance? The most productive methodology for answering these questions may be to situate the ‘protectionism vs free trade’ debate in historical and economic contexts. The conflict between the ideals of protectionism and free trade have existed even before the creation of the United States. With the assumption that the concept of international trade posed imminent dangers to national security, the proponents of protectionism attempted to minimize international trade. On the other hand, those nations with a competitive advantage in some industries advocated for an increase in international trade with the minimization of tariffs. Since protectionism assumed that each nation would eventually be able to provide for itself, it stifled the development of specialized industries. Of course, free trade also has problems of its own, including one country depending another for food supplies. In today’s global economy, protectionism would create more problems than it would solve. For hundreds of years, developed countries have depended on raw materials imported from less developed countries to produce their industrial goods. In the trade deals of today’s discussion, American automobile plants have depended on steel coming from the EU, Canada, Mexico, Brazil, China and South Korea. If Trump’s proposed tariffs take effect, many steel producing companies in those countries will be forced to file for bankruptcy. In that event, it is the American companies who will be short on steel. Unless they could find a replacement source for the imported steel, those factories will be shut-down and the price of automobiles will increase. Are we to take Trump’s ideas seriously? That in this day and age, the price of steel and cars could skyrocket over-night? This is not to mention that the price of all of the other products requiring steel and aluminum, such as canned sodas, computer parts, and construction materials will increase over night. Photo Credit: Swoolverton, via Wikimedia Commons.